Cultivate your quilting skills with our tips, tutorials, and unique designs. 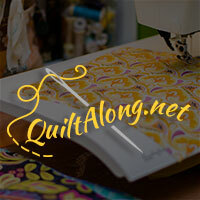 Welcome to my day in The Quilter’s Negative Space Blog Hop! I’m thrilled to be here supporting the release of Sylvia Schaefer’s new book. I have a little confession to make. So one of the things I wanted to do in 2019 was participate in a quilt along, or mystery that someone else is running, so when one of the Island Batik Ambassadors asked if any of us wanted to participate I said yes! The quilt along is the Daisy Chain Quilt along hosted by Honey, Bunny, and Doll Quilts. It is time again for another Island Batik blog hop where all the Ambassadors showcase the newly released fabric lines about to hit stores! These are always so much fun because the group is filled with some amazingly creative people. Wow! I can't believe we are already on week 6 of the Creative Spaces Blog Hop! Where did the time go? This really has been a fun blog hop to participate in. It has been nice to learn from other designers and have a chance to share my space with everyone! A big thank you to Cherry Blossom Quilting & Tamarinis for organizing such a great hop! This, our final week, we are talking about rulers and tools! Oh, the great outdoors. This time of year in Arizona we only dream of going outside and experiencing this. Thankfully this blog hop not only lets you enjoy the beauty of the great outdoors from the air conditioning, but we also get to drool over beautiful Island Batik fabric! What can get any better than that? Thread, thread, and more thread (and I guess buttons, zippers, and ribbon too) is the theme for this week on the Creative Spaces Blog Hop. A year or so ago I would have thought this was a strange topic with not a lot to show, but of course as time goes on my thread collection grows. Not only in color, but in spool size and different thread weights as well. As far as thread brands go I am pretty much a 1 trick pony though. I pretty much sew with Aurifil thread. Fabric, fabric, and more fabric. There is no such thing as too much fabric, right?! This week's topic for the Creative Spaces Blog Hop is Fabric & Scrap storage. This is something I have struggled with in the past. Mostly, I had bins of folded fabric all throughout and a basket to throw my scraps in, but recently it has become more organized. This month's Island Batik Ambassador challenge is Pattern Play - Secondary Pattern Challenge. The whole idea behind this challenge is to create a quilt where, when the blocks are put together, an unexpected pattern emerges. This by far has to be my favorite challenge of all, because it is one of my favorite things to do in design, and fundamental to creating any mystery quilt I run on my website (because it makes it harder to guess the finished design). Welcome to week 3 of the Creative Spaces Hop. This week we are tackling organization tips. I am an organized mess, with an emphasis on the mess part. Organization isn't my strong suit, but I do have a couple of tidbits that have really helped me recently. Welcome to my post for Week 2 of the Creative Spaces Blog Hop. Our theme this week is Favorite Tools. Can there be a harder topic to write about? I mean really, aren’t all our tools great. Personally, I find it hard to pick a favorite, so I narrowed it down to 5. I would like to receive blog updates. I would like to be a part of the 2016 Mystery QAL Mailing list.